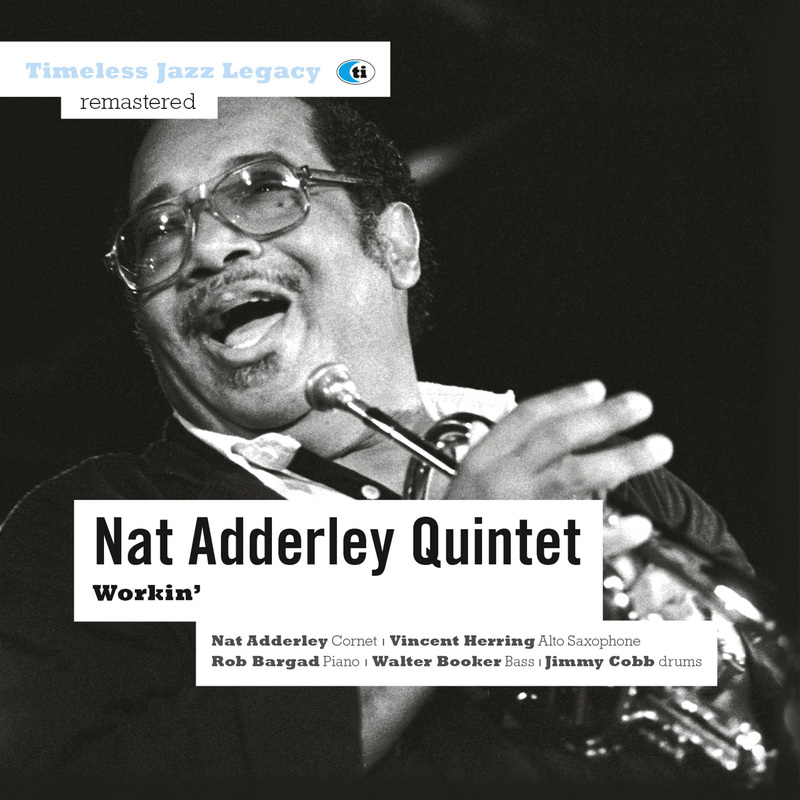 Workin’ has the 1992 version of the Nat Adderley Quintet performing live. At the time the group also included Herring, pianist Rob Bargad, bassist Walter Booker and drummer Jimmy Cobb. While at times during his later years Adderley’s playing could be a bit erratic, he is heard throughout this set in prime form, often sounding quite exuberant. The group performs lengthy versions of five Nat Adderley originals including “The Chant,” “The Big J,” and his most famous song, “Work Song.” Herring is consistently passionate, hinting at Cannonball while mostly sounding like himself. The rhythm section is tight, with Bargad taking several fine solos while Booker and Cobb (who were both alumni of Cannonball’s group although from different periods) are stimulating in support of the soloists. Due to Nat Adderley’s better-than-usual playing from this period, the tightness of the group and Vincent Herring’s inventive solos, Workin’ is one of the finest recordings by the Nat Adderley Quintet. "This reissue is "gefundenes fressen'' for lovers of '50s hard bop."